Hello! I'm Juliet – a 20-year-old who loves making and sharing sweet confections. 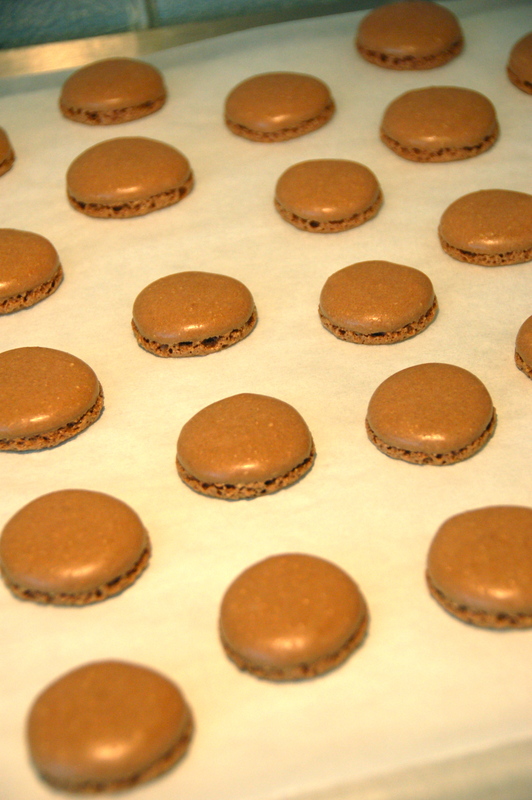 To even some of the most accomplished pastry chefs in the world, macarons are daunting. They’re infamous for their unpredictability in baking, and their impossible reputation scares away most bakers. 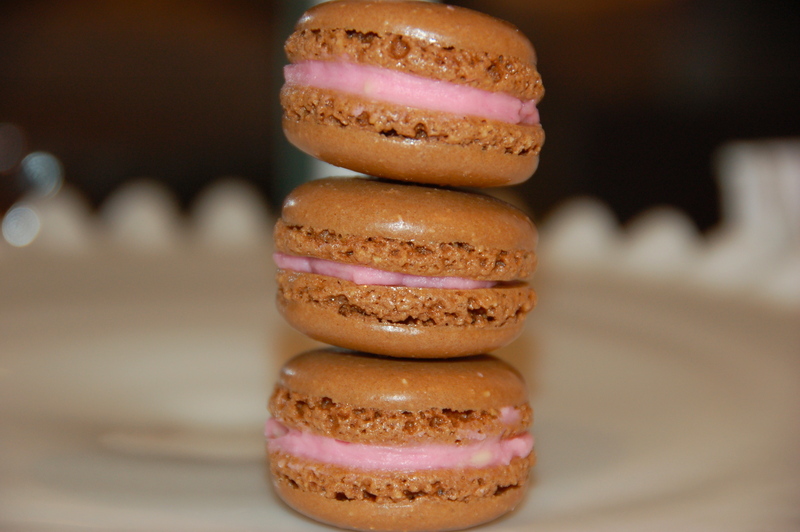 To be honest, I was afraid when I first made these macarons. I assumed they would turn out horribly. 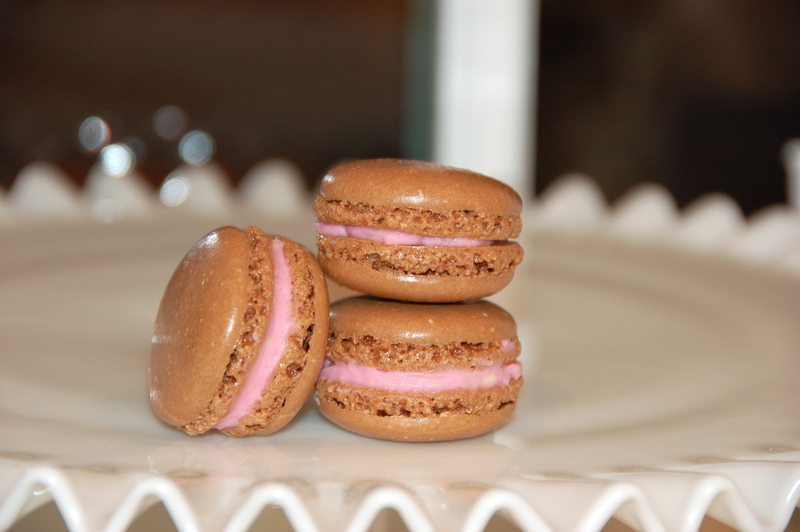 But, when I baked these macarons for the first time, and all of the subsequent times, they have been consistently perfect! I am still surprised and delighted every time I bake these; when I open the oven, I never know what to expect, but consistently, they have been amazing! I pipe them out onto a baking sheet covered with parchment paper using a disposable piping bag with a 1/2-inch round tip, about two inches apart from one another. 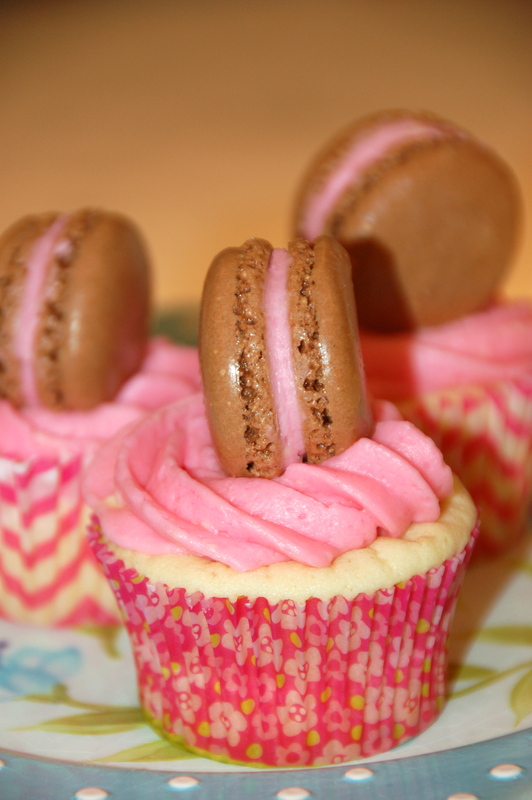 They bake with perfect feet (the little airy later around the bottom of each macaron shell), and the tops are always round and smooth – I’ve never baked one with a crack, truly. 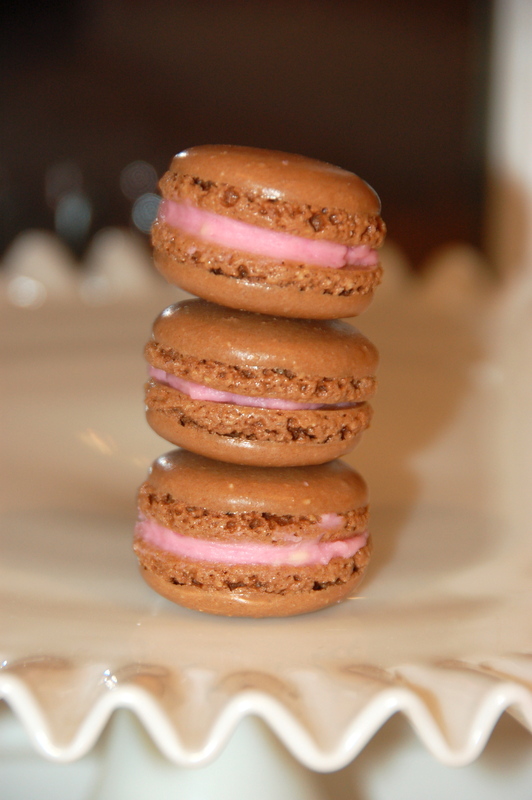 If you’ve always wanted to make macarons, but have always been afraid, this is the recipe for you. It is a guaranteed no-fail recipe, and each little sandwich is rich and chocolate-y. 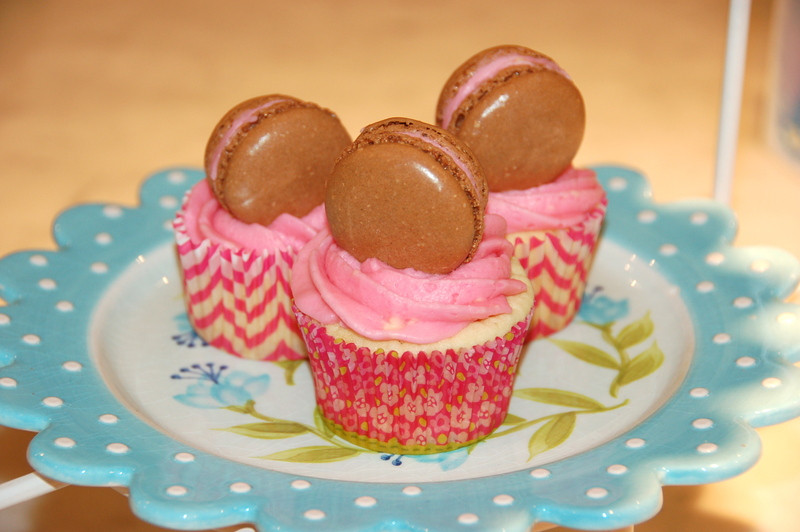 I even topped some vanilla cupcakes with pink buttercream frosting with these macarons as a garnish! I filled each little sandwich with an easy pink buttercream frosting, piping a tiny swirl on half of the shells, and topping them with another shell. You can really fill them with anything, though! I’d love to try a type of jam, or maybe a chocolate ganache in the future! Enjoy these easy, impressive, and of course, delicious French delicacies! Preheat oven to 350*F and line two baking sheets with parchment paper. In a blender or food processor, combine the powdered sugar, almond flour, and cocoa powder so there are no lumps. In the bowl of a stand mixer, whip the egg whites using the whisk attachment until they begin to hold their shape when the whisk is removed. While whipping, add in the sugar and continue whipping for about 2 more minutes, or until the mixture is stiff. Fold half of the dry ingredients into the egg white mixture with a rubber spatula. When the mixture is smooth and there are no streaks of egg white, stop folding, and add in the other half of the dry ingredients. 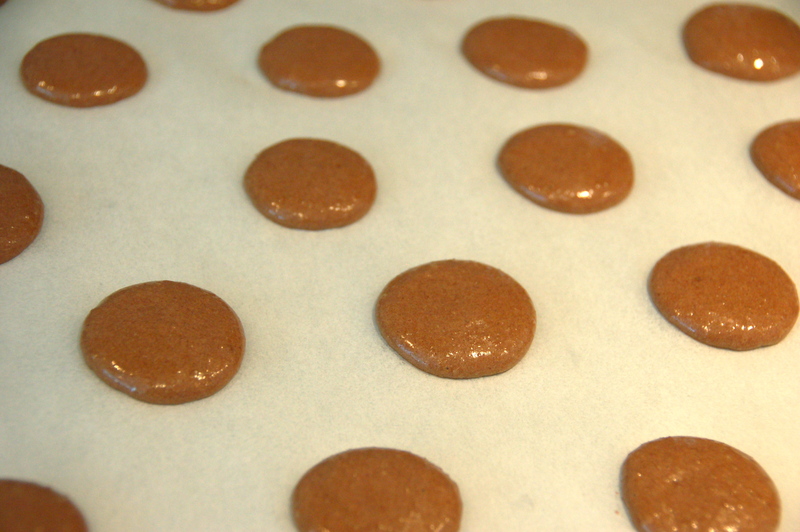 Make sure you don’t over-fold the mixture – that could lead to cracking or depressing of the macaron shells. Scrape the batter into a pastry bag fitted with a 1/2-inch tip. Pipe the batter on the parchment-lined baking sheets in two inch circles, spaced about two inches apart. Slam the baking sheets a few times firmly on the counter or stovetop to remove excess air from the batter, then bake them for 16 minutes exactly. Let them cool completely on the baking sheet (I know, it takes a while – you can do it!). Use the vanilla buttercream recipe from here with a bit of pink food coloring, or feel free to use your favorite jam, ganache, or peanut butter filling! I'm Juliet, the self-taught baker and blogger behind Juliet's Sweets, here to make your life sweeter! Thanks for stopping by! Want sweets in your inbox? Enter your email address to follow and get new posts by email.